Growing up with his family in the HVAC industry in the Denver area, Steven L. Brandt is no stranger to the business. “HVAC has always been a part of my life”. It is no big surprise that in 1994, he had the dream to build his own company from the ground up, as he has always had the entrepreneurship attitude. In 1995, the business was operating and Steve has never slowed down since. His professional integrity is of utmost importance, and with this comes a standard for exceptional workmanship. His mission has always been “to build long lasting relationships”, and we strive daily to impress and please our customers, whether internal (with others in the HVAC community) or external. He is actively involved with the company and always has had the ability to fulfill his responsibilities. There is a must for efficient and long-lasting equipment; therefore, Steve partners closely with the manufacturers using the latest and newest equipment available. We are able to back, along with the manufacturer, our preferred equipment with a 10 Years Parts and Labor Warranty*. This will put the customer’s mind at ease and that is a goal for the company as a whole. Pricing is fair and competitive with the HVAC market. As safety and continuing education are of utmost importance, we continually schedule our technicians for continuing education classes to uphold their skills and re-assess any areas needing perfected. We have a terrific service team, alongside our sales department that will spend quality time with our customers. We offer heat load calculations, giving no room for “guessing” what equipment is best suited for your home. The process of a heat load calculation takes many aspects of each individual home into consideration: insulation, windows, and our customer’s needs. It is no wonder The Cooler Company has secured a trustworthy name for itself in the Denver metro area. Within the last fifteen years, we have all advanced into a major awareness of our carbon footprint. Our mission in the 21st century expands now to include resources and ways to make our community have less of an impact on our environment. We do look into the future, and we can assist people in minimizing their home’s energy usage. This saves our natural resources, saves people money, and conserves our livelihood. 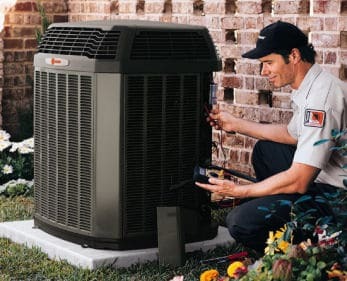 We all work very hard to please our customer, from our office staff to our in-home technicians. We look forward to the opportunity to earn your business, and would like to be there for all your HVAC needs now as well into the future.